When so many years ago Good Friday Track Meeting promoter Graham Bristow organised a cyclo cross race at Herne Hill Velodrome in London approximately 25 people turned up for what was quite good fun. Since then cyclo cross has become British Cycling’s largest growing cycle race discipline and this is mirrored across the world including the USA. Now the second oldest Velodrome in the World and the home of the 1948 Olympic Games track cycling will see over 400 riders racing in a day of action and good numbers of people watching, supporting and heckling. I have shot lots of video and pictures at Herne Hill both cross and track, and I wondered if other velodromes hosted cross races, after all it would be an interesting exercise to learn more about velodromes and cross outside of my normal bubble. During my hunt, which is by no means exhaustive (you have to stop at some point), I note that a cross race has been held at the Aarhus Velodrome but I can’t find relevant video. I also found a number of now abandoned velodromes which would be perfect for a cyclo cross race. 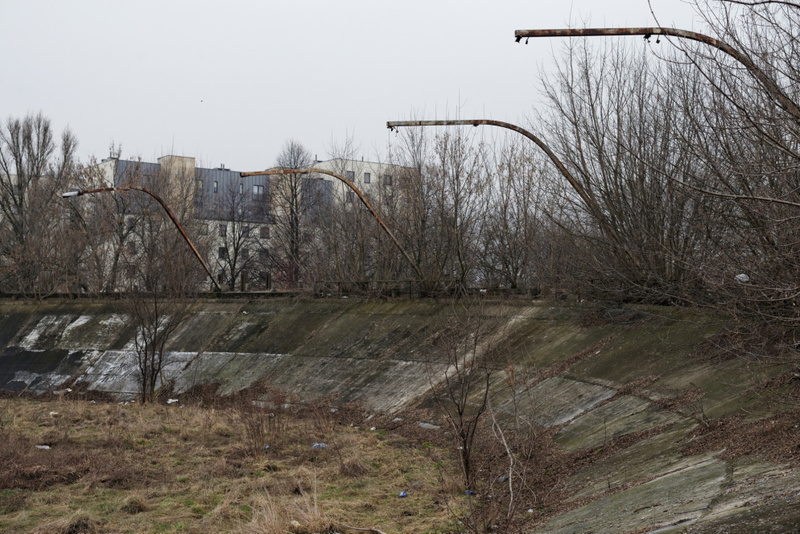 My favourite for a cross race would be at the abandoned out-door track in Warsaw. One abandoned track is at Dorais Park also known as the ‘Thunderdrome’ and that does host cross races. I love the snowy action from Chemnitz and the huge roof that covers the RSV Öschelbronn velodrome both in Germany. I do wish I had found footage from the Wolverhampton Velodrome in Britain because I can remember watching races on Saturday afternoons on British TV in the 1980’s. Herne Hill recently and very much active! Old abandoned velodromes – that should feature a cross race.